But WHEN you eat seems to matter a whole lot too, according to tons of studies–and we agree. Who saves a little amount of time in the morning dedicated for breakfast and usually just drinks coffee on their way out the door, eats an okay lunch and then feasts at night? If this is you, then listen up! And we know that some of you are this way because according to the American Heart Association, 20-30% of adults skip breakfast. “A recent review of the dietary patterns of 50,000 adults who are Seventh Day Adventists over seven years provides the latest evidence suggesting that we should front-load our calories early in the day to jump-start our metabolisms and prevent obesity, starting with a robust breakfast and tapering off to a smaller lunch and light supper, or no supper at all,” stated the NY Times in their recent article. 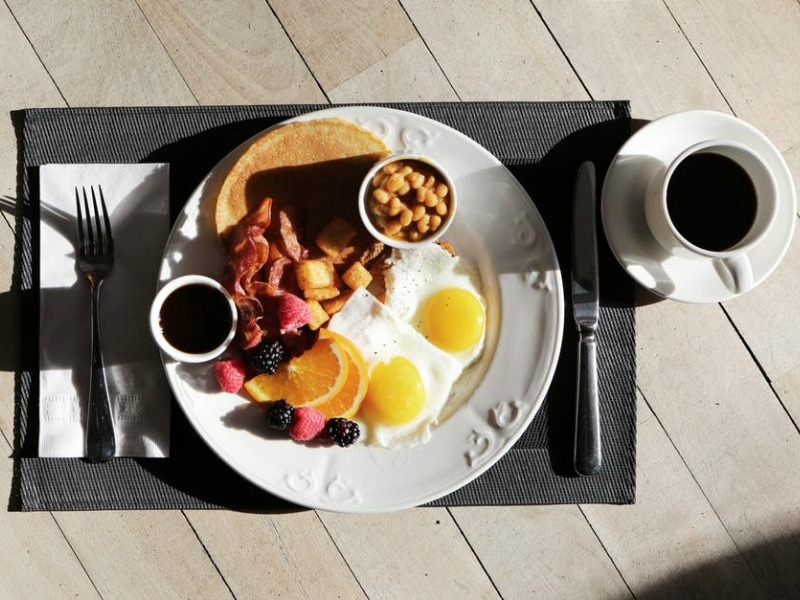 Additionally, the American Heart Association recently released a statement acknowledging the role of meal timing and strongly encouraging people not to skip breakfast, as meal timing may affect health due to its impact on the body’s internal clock. One ‘rule’ that always seems to hold true year after year is the rule that you should eat breakfast like a king, lunch like a prince, and dinner like a pauper—or no dinner at all. Whether you follow intermittent eating, snacking throughout the day between meals or sticking to the strict three meals, the common denominator in them all is still breakfast. Breakfast serves a purpose and an important one. It literally means what it is, breakfast – break fast. Your breakfast is intended to break your bodies fast while it was sleeping. Insulin action is more efficient in the morning, which shows the largest meal can be handled at the beginning of your day. Show your body some love by feeding it most in the morning and a healthy nutritious meal at that! Do you agree? What are your eating habits?